And what’s so cool is they actually pay me to do this! Hmmm… What’s that strange sound? Something feels different! Hey, why am I looking up? Whoa here. What the hell?? Controls aren’t working. Time for a mirror check… Hey, where’s the rest of my F-15? This ‘incident’ caused the USAF to ground its fleet of F-15′s. like it’s going to be just another ‘average day at the office’..! What caused the mid air break up? Slowly scroll your way through the images, what do you think they’re building? THERE ARE CRAFTSMEN…AND THERE ARE CRAFTSMEN !! The Morgan Motor Company located in Britain doesn’t change in a changing world. Not only is it still independent, but it also makes each car by hand. A base model is about $44,000, with some cars costing up to $300,000. People wait for over a year to get their exclusive hand-built cars with the shell made out of metal and much of the vehicle made out of wood. Working on the wood interior, workers use metal shears to individually shape a hood because each car has to be different. Every year Morgan produces about 600 cars. The company celebrated its 100th anniversary in 2011. It has a long and interesting history, and is still run by the same family: the Morgans. Founded by Henry Frederick Stanley Morgan known as “HFS”, it was then run by his son Peter, and is now run by Charles, the son of Peter Morgan. For ages now, Mauritia has been hiding. The small, precambrian continent once resided between Madagascar and India, before splitting off and disappearing beneath the ocean waves in a multi-million-year breakup spurred by tectonic rifts and a yawning sea-floor. But now, volcanic activity has driven remnants of the long-lost continent right through to the Earth’s surface. After millions of years, and some incredible geologic sleuthing, it seems Mauritia has been found. 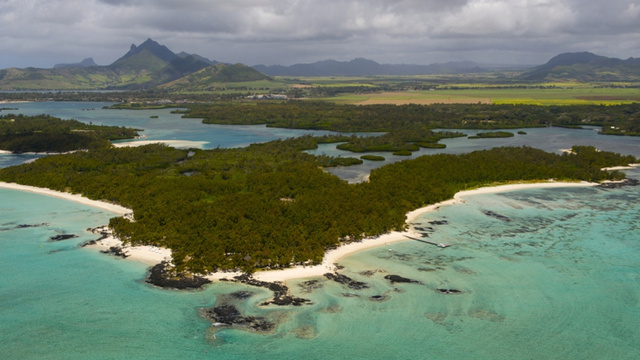 The vast majority of Mauritius’s volcanic lava sands date to around 9 million years ago. But a grain-by-grain analysis revealed the sparsely distributed xenocrysts to be anywhere from 660 million to 1.97 billion years old. A strange find, to be sure, but Jamtveit and his colleagues have a compelling explanation for the anachronistic crystals. 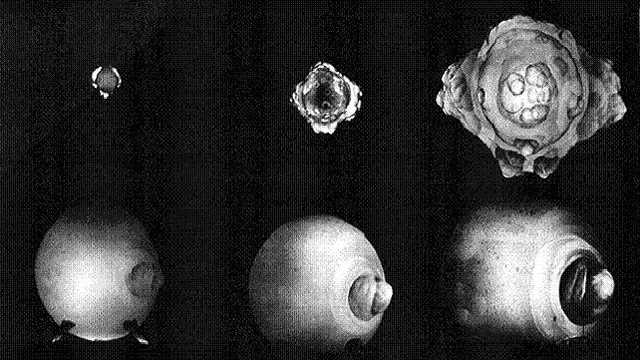 The zircons, write the researchers, likely originated in fragments of ancient continental crustsituated beneath Mauritius, and were in fact pushed up through to the planet’s surface through volcanic activity. How far were they pushed? 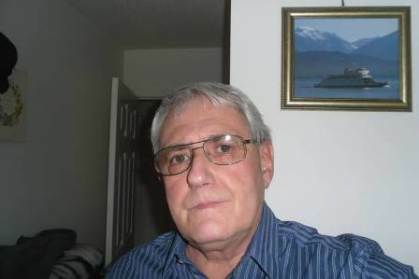 Geologist Trond Torsvik, first author on the paper,told the BBC he thinks pieces of long-lost Mauritia are likely situated 10km beneath the island and a chunk of the Indian Ocean. Analyses of Earth’s gravitational field corroborate his claims, revealing several regions of the sea floor where the crust is significantly thicker than normal (around 30 kilometers thick, where it should be closer to 5 or 10). Torsvik says the researchers will need seismic data to image the seafloor structures more accurately — either that, or deep drilling. But a 2-billion-year old zircon xenocryst on a beach covered in 9-million-year-old volcanic sands is a hell of a geological riddle, and right now, fragments of an ancient precambrian microcontinent, coaxed surfaceward particle-wise by volcanism, seem a rather compelling explanation. Then again, they are called zircon xenocrystals. So aliens and timetravel seem as good an explanation as any, right? Top image: Mauritius, by Jack Abuin via Nature News. 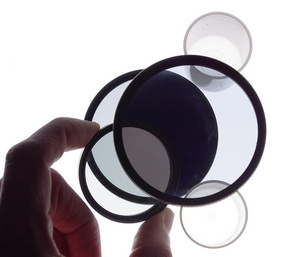 A rapatronic camera starts with two polarized lenses. Polarization is basically a kind of striping that allows only light waves oriented in one particular direction to come through (it’s used often in sunglasses). A few minutes of playing with polarized lenses allows you to notice a neat trick. If you have a lens that’s polarized one way, and layer another lens over that is polarized at a 90-degree angle to the first — so the two lenses are in a criss-cross pattern — you will block out all light. But there’s a twist. If you put a third polarized lens between these two, and set it at a diagonal to them both, suddenly light will get through. The scientists did the equivalent of putting a temporary lens between those two polarized lenses, and put in a Kerr cell. A Kerr cell is a suspension of electrodes in liquid. When it is shot through with an electric field, it creates a refractive index that rotates the light polarization. So the light passes through the first filter, is polarized, and is then twisted around so it can pass through the second filter. When the electric field is gone, the Kerr cell returns to normal, and the two lenses completely block the light again. 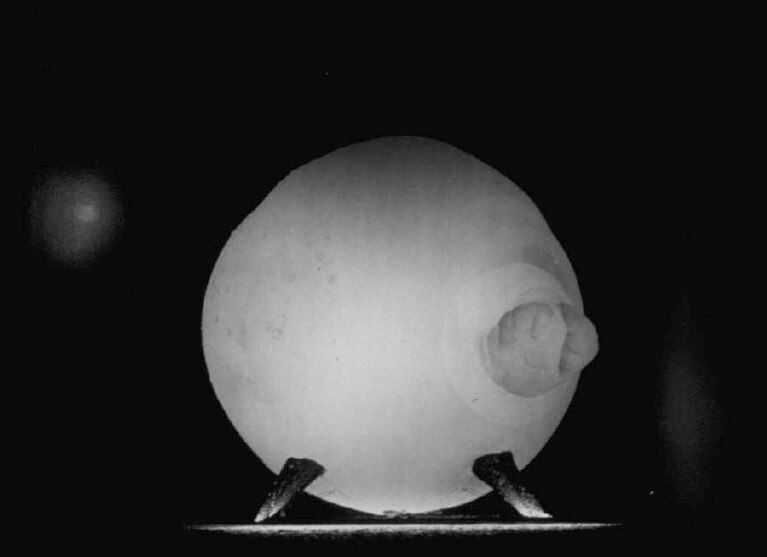 This happens via electricity, not mechanical movement, and so could be cut down to only 10 nanoseconds. The result? Spectacular images of history’s most dreaded weapon. 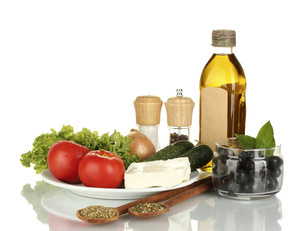 Eating a Mediterranean diet that contains olive oil and nuts can leave you with a healthier heart. In a randomized trial of nearly 7,500 people at risk of heart disease in Spain, researchers discovered that people who stuck to what they called the “Mediterranean diet” — supplemented either with extra virgin olive oil or nuts — had a lower risk of having a “cardiovascular incident” after four years. The best part? These diets were not intended to restrict calories, nor were participants asked to increase their amount of daily exercise. They were just encouraged to maximize healthy food intake. So it’s not as simple as eating out at the local falafel joint every day. You have to stick to meals that balance fresh vegetables and low-fat meats with healthy oils and grains. Plus, no french fries or pastries — which seems particularly unfair given that Mediterranean fried potatoes are amazing, as is baklava. Still, it’s a fascinating study which reveals that what you eat is perhaps more important than how much you eat. 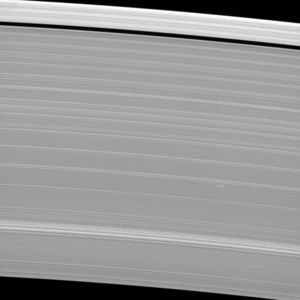 The Cassini spacecraft has imaged propeller-shaped features in Saturn’s rings. They are created by tiny moons in Saturn’s rings perturbing the ring particles. 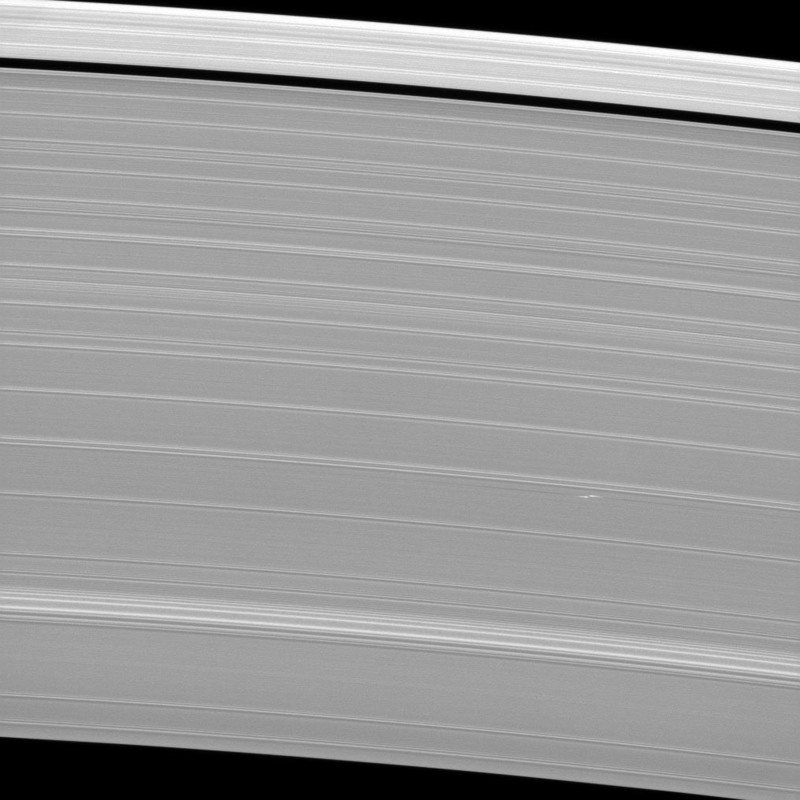 The two-bladed propeller-shaped feature near the bottom of image reveals the location of a tiny moonlet embedded in Saturn’s A ring. The feature is a result of the gravity of this moon affecting the orbits of nearby ring particles. The propeller has been nicknamed “Bleriot” by the imaging scientists, after the French aviator who first flew the English Channel in 1909. The image was obtained at a distance of approximately 349,000 miles (561,000 kilometers) from Saturn and at a Sun-Saturn-spacecraft, or phase, angle of 41 degrees. Image scale is 2 miles (3 kilometers) per pixel. The moonlet itself is only about half a mile wide, making it invisible at this distance and resolution. Its presence is only made known through its effect on the particles around it. It is one of a growing number of “propeller” moons that have been observed over the past several years. 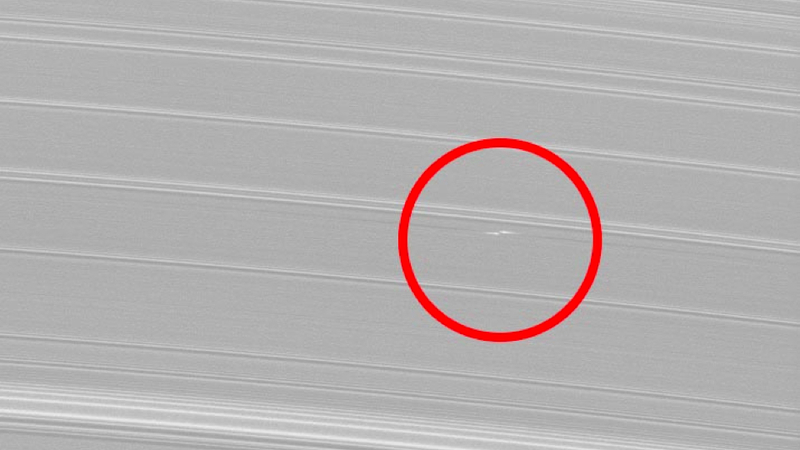 This latest one is larger than the others and has cleared ring material from the dark wing-like regions to its left and right in these images. Disturbed ring material closer to the moon reflects sunlight brightly, creating the white, propeller-like shape. The propeller structure is about 3 miles, in the radial dimension (the dimension moving outward from Saturn), while the dark wings appear to be about 700 miles wide in the longitudinal direction. Quartz is used in watches to keep more accurate time. Quartz, made up of silica and oxygen, is one of the most common minerals on Earth. Billions of people use quartz every day, but few realize it because the tiny crystals they use are hidden in their watches and clocks. But what do the clear or whitish crystal rocks found all over the world have to do with timekeeping? Some materials, such as certain ceramics and quartz crystals, can produce electricity when placed under mechanical stress. The ability to convert voltage to and from mechanical stress is called piezoelectricity. Quartz crystals maintain a precise frequency standard, which helps to regulate the movement of a watch or clock, thus making the timepieces very accurate. Quartz is also used in radios, microprocessors, and many other technological and industrial applications. While it’s interesting to think that the quartz you find beautifying a landscaped lawn is also in your wristwatch, most of the quartz in electronics is synthetic, and specific quartzes can be created with specific frequencies for specific functions.